This CD was recorded at Sacred Heart Studios in Jupiter, Florida on 12/12/2012. It is a dream come true for me to make it into a professional studio and have the opportunity to record this song. 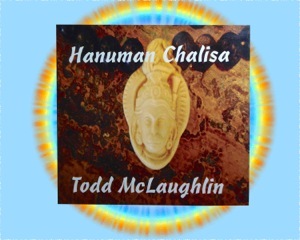 Several years ago I had the chance to hear Tim Miller sing the Hanuman Chalisa in a way that completely rearranged my understanding of devotional music. Tim’s inspiration in singing this song encouraged me to learn it as well and play it every Tuesday on Hanuman day the same way he does at his shala in Encinitas. After a couple of years of practice it gives me great joy to present this recording. Jai Hanuman! !